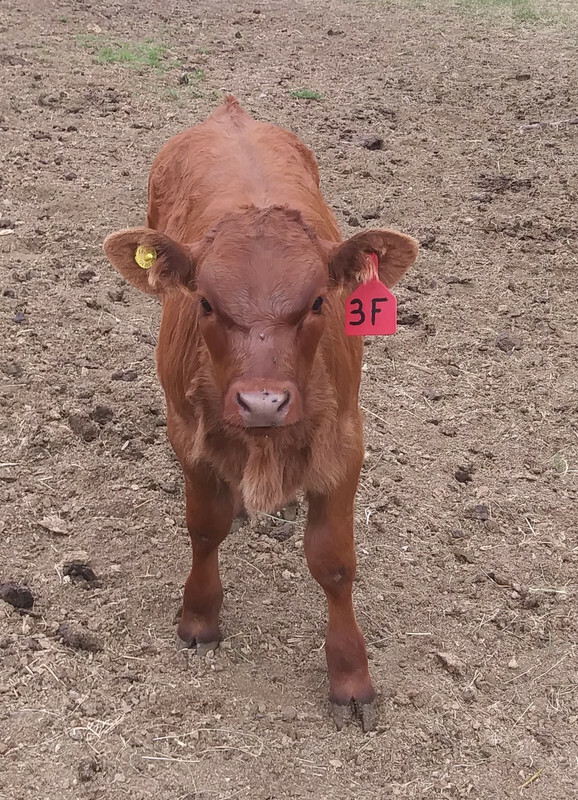 One heifer was AI'ed last week. One is inheat today. One should be tomorrow. 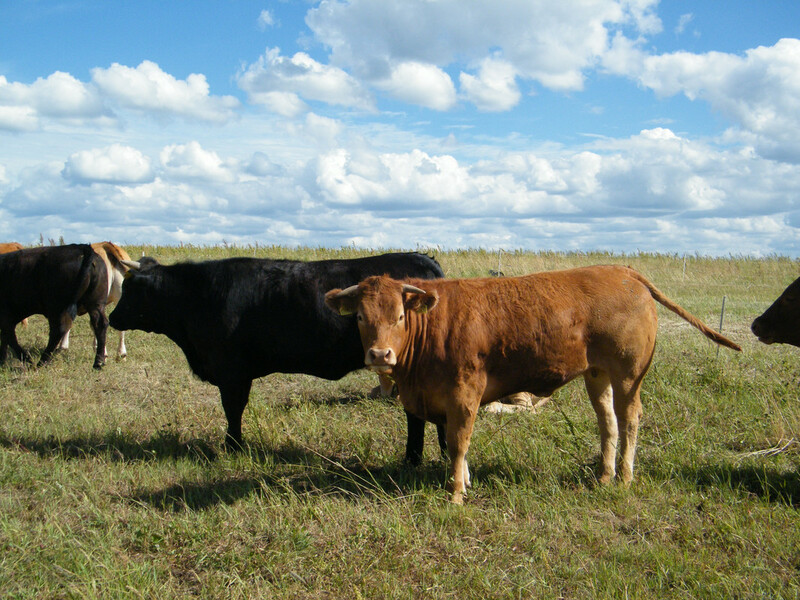 All heifers are 14-17 months old. This one has already been AI'ed with Blonde. This one is inheat today. 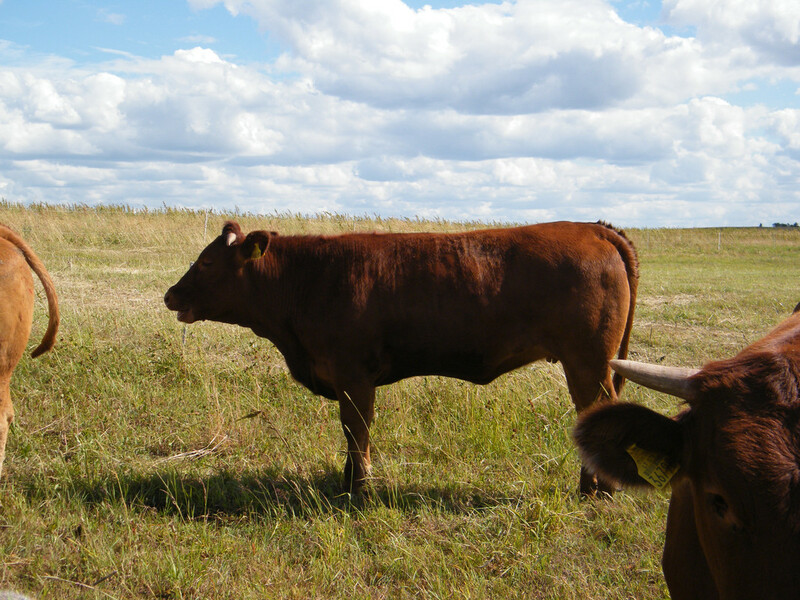 Will use an old AngusxSalers bull, which we've used on BBx heifers before. This one should be in heat tomorrow. Will use piedmontese. 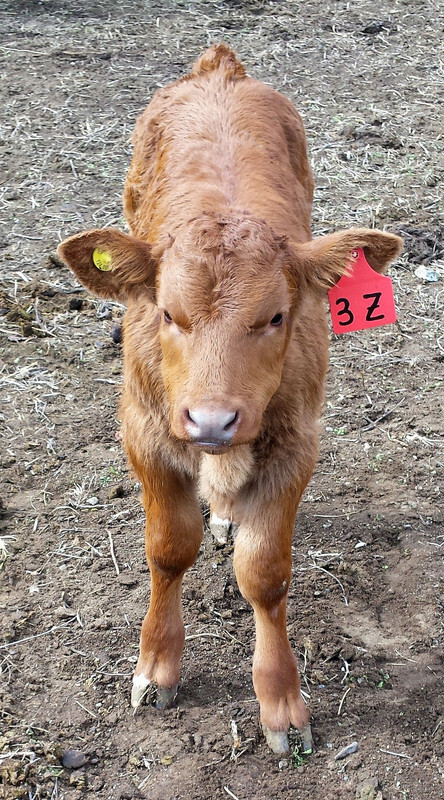 If we'll need to cull the 1st calver, will have to choose one heifer from two. 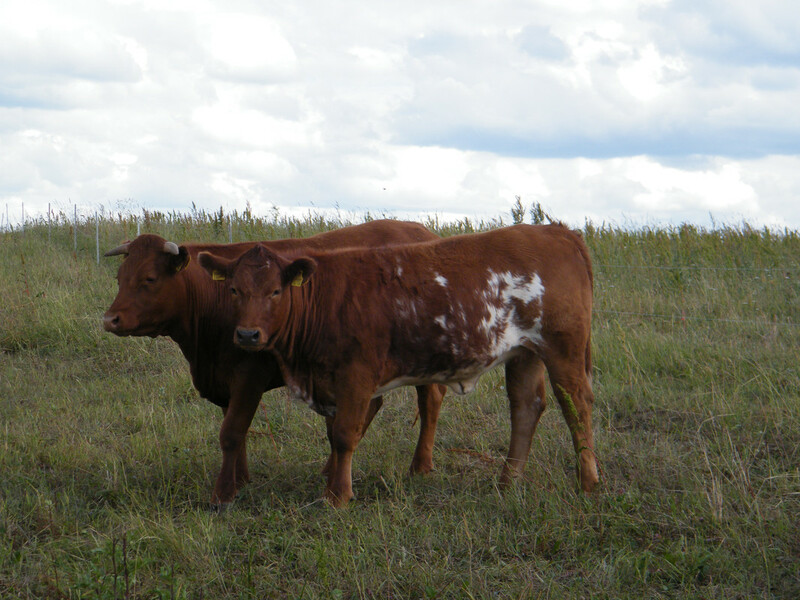 Both are nice heifers, with lots of potential. Have one full sister of both in the herd. Nice "meat wagons" you got there. These will be a little young for what you usually breed, aren't they? Jeanne - Simme Valley wrote: Nice "meat wagons" you got there. These will be a little young for what you usually breed, aren't they? Yes, they are abit younger and smaller, but we'll keep them on meal and won't keep with cows, so they should reach a nice size before calving. 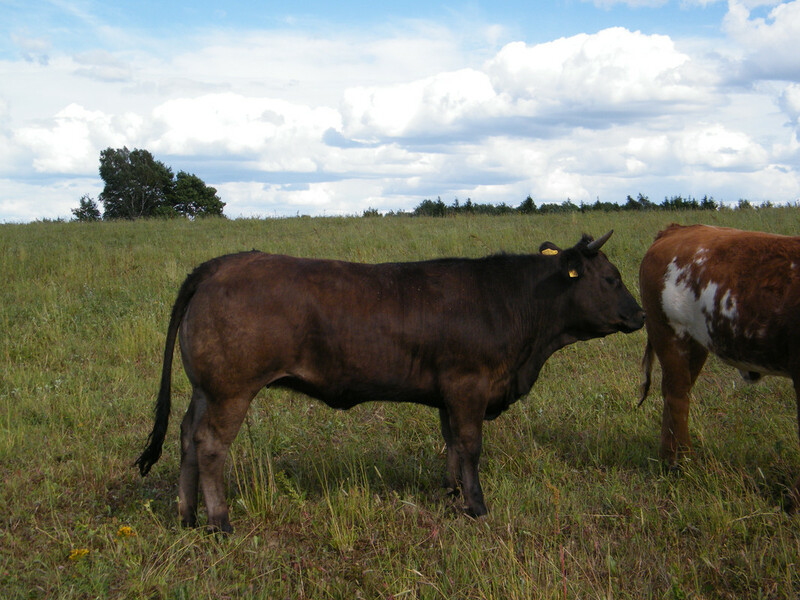 At the moment we have one Angusx heifer due in August, which is 2 years old now. Will see how she does as a mother. 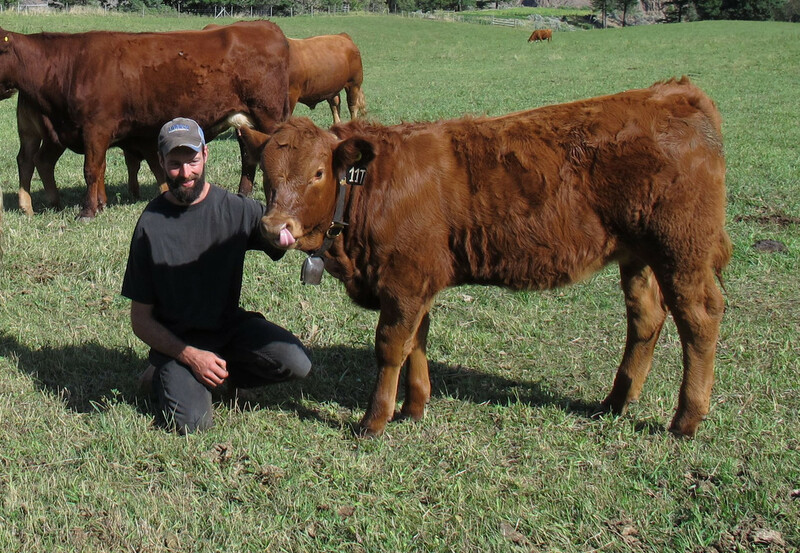 I always calve my heifers at (or very near 22-25 months) and would never hold them for an older age. 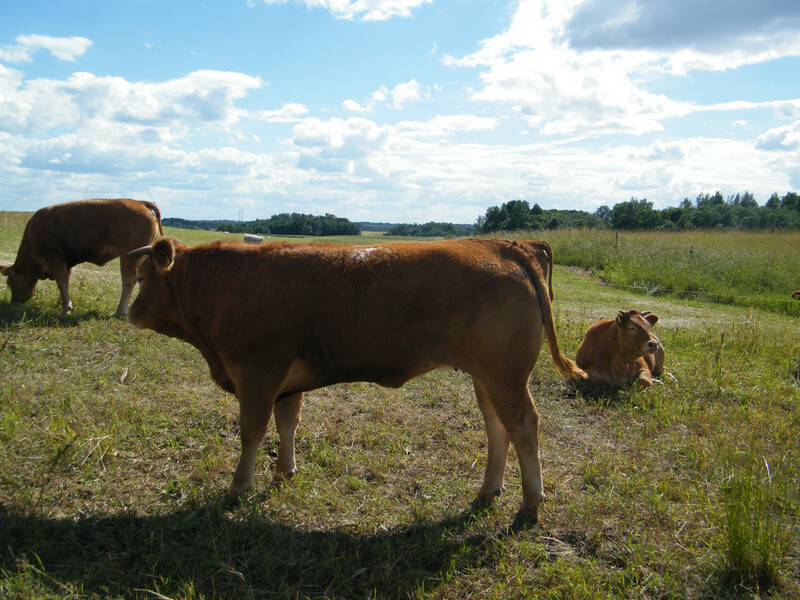 They don't get any grain after they are bred - turned out on grass. 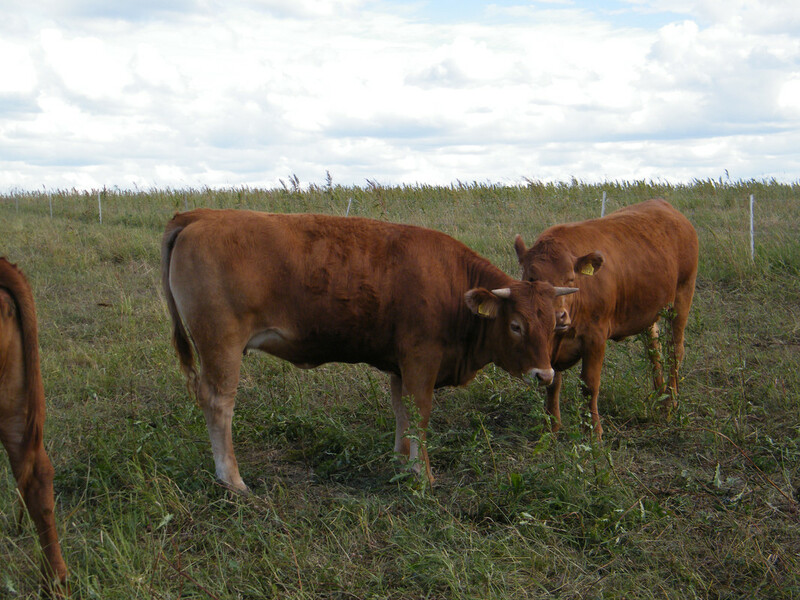 But, come winter time, they are kept separate from the mature cows so they don't have to fight for their hay. 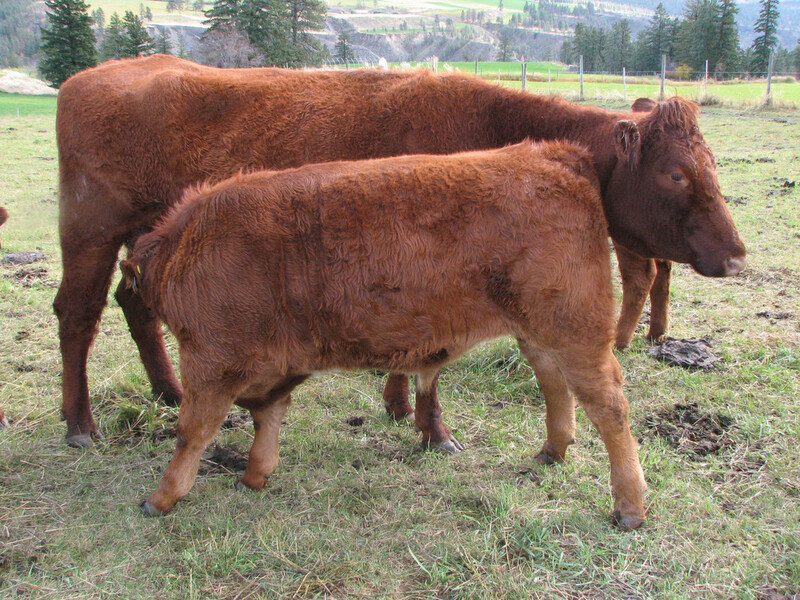 Keep them separate after they calve also, until we turn out on grass. They are too small to be away from grain. Also the ones, which we'll cull are in the same group. Plus it's very dry now and not much of grass. Have to keep them growing. 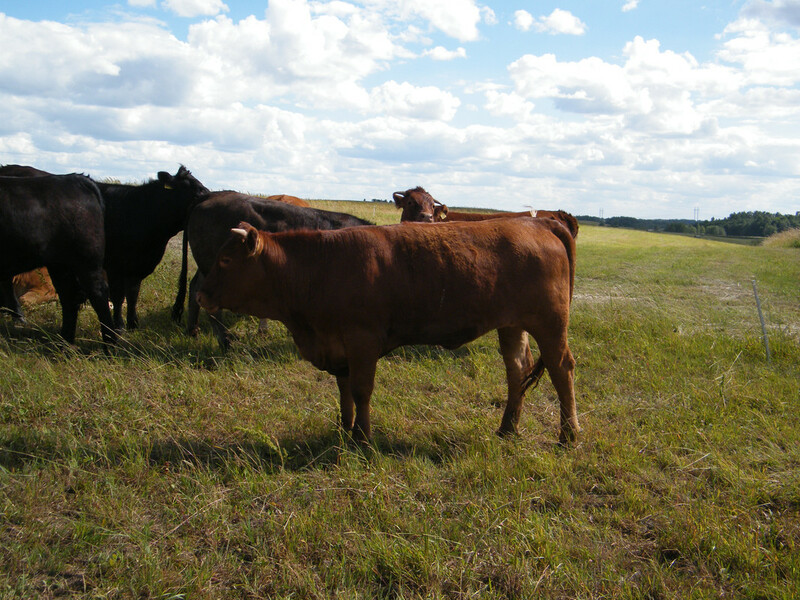 Heifers will be kept away from cows during winter. Will let them out in the field before their calving and will keep in a separate group from mature cows next year. 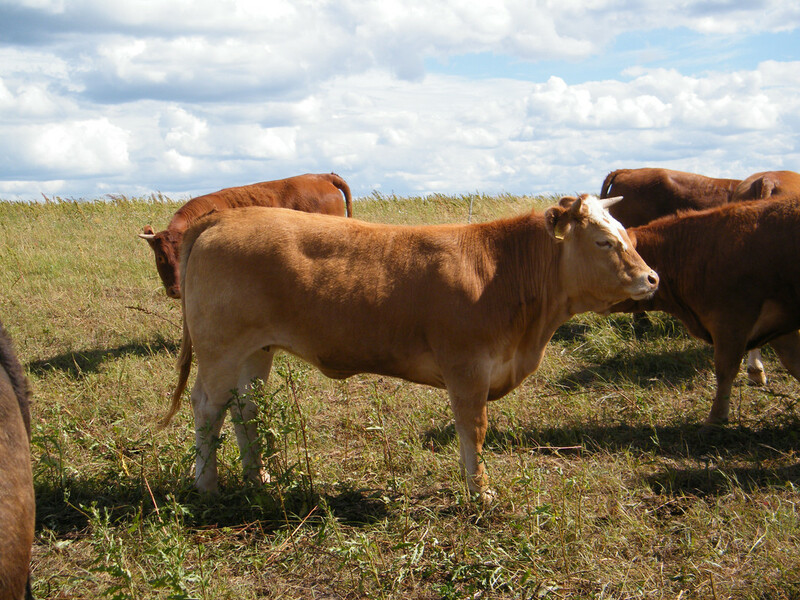 This year fall calving heifers will join them around May. Only two left for their first AI. 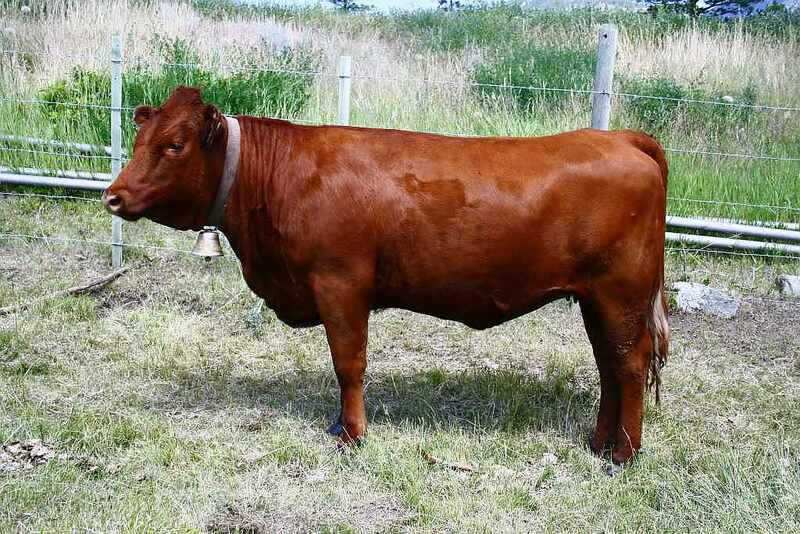 The 1st calver has repeated heat, so the red heifer will be kept instead. Yesterday was he first term after AI for the first heifer, and she seems calm. Everybody has their own taste I like most of our crosses for different traits. 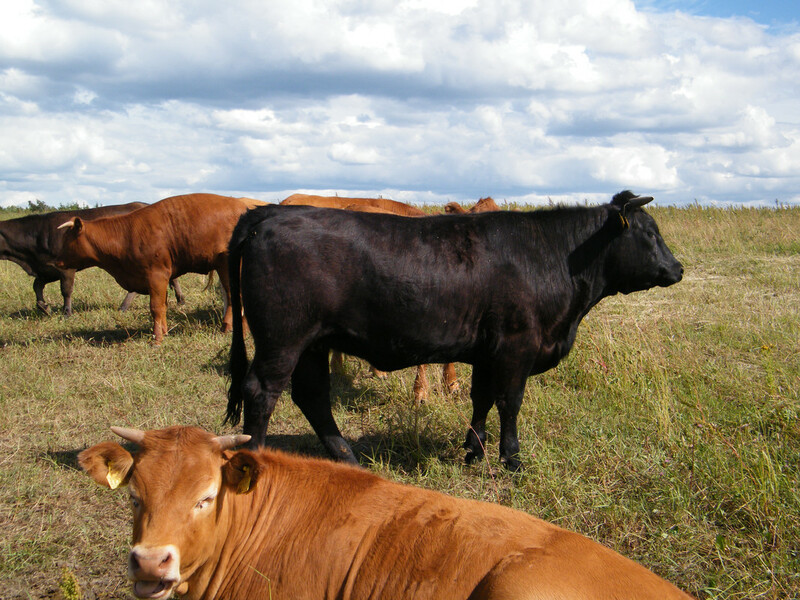 Angus cows seem to be milky and have good growth, Limousine and especially BB adds some muscles, Charolais add some frame and etc. No bad breed. 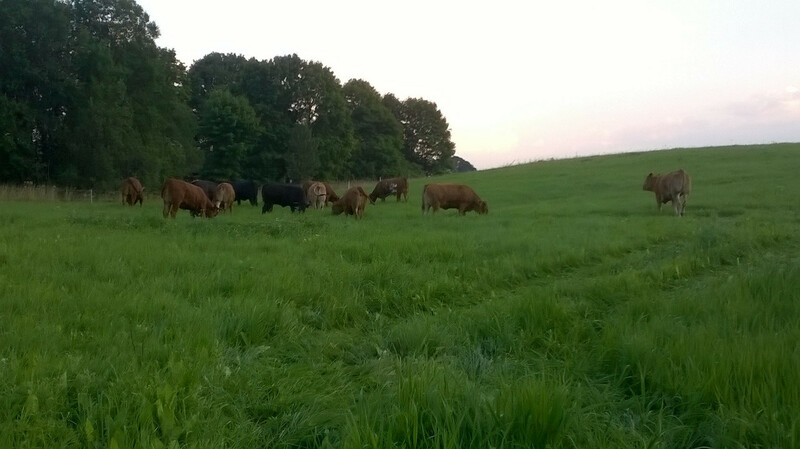 Finally some grass for the girls. It should be a good boost for growth. 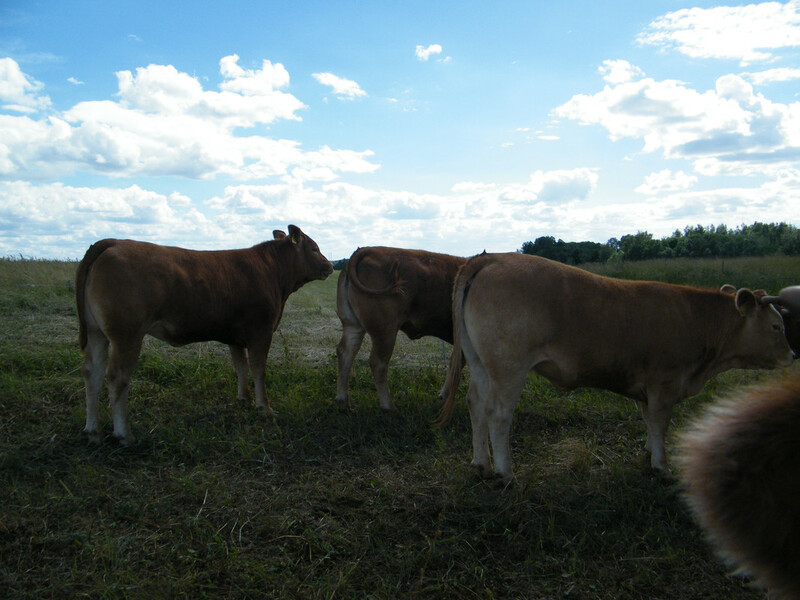 lithuanian farmer wrote: Everybody has their own taste I like most of our crosses for different traits. 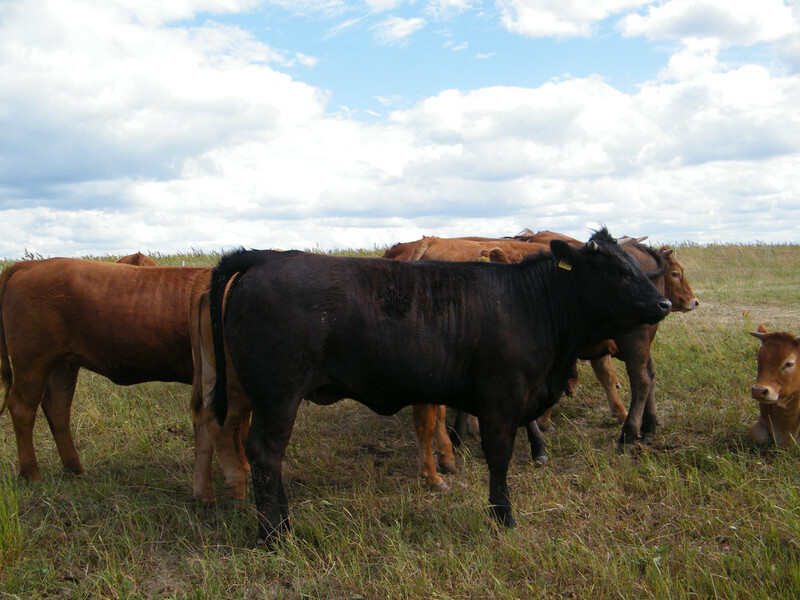 Angus cows seem to be milky and have good growth, Limousine and especially BB adds some muscles, Charolais add some frame and etc. No bad breed. 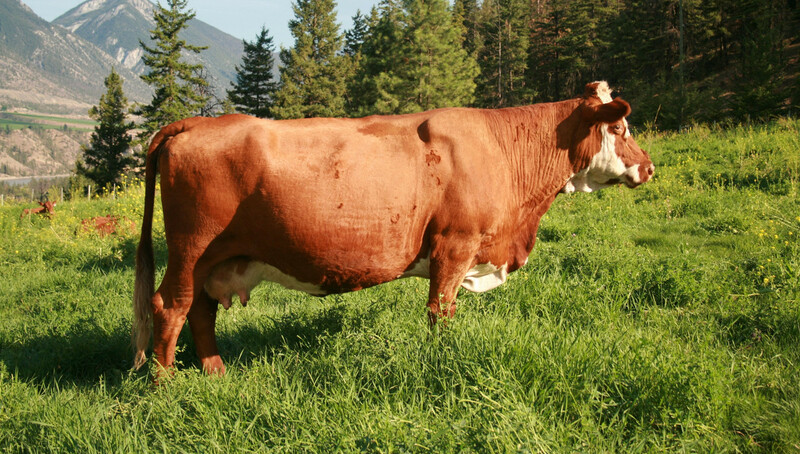 Well, Salers is one of the easiest calving breed. I wouldn't mind abit of Salers in more cows. Have a couple with 25% or less. 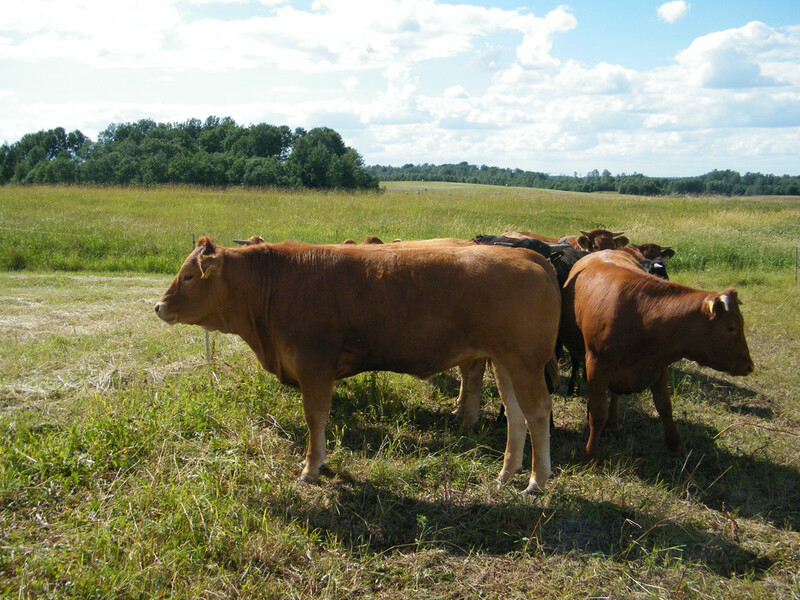 lithuanian farmer wrote: Finally some grass for the girls. It should be a good boost for growth. LOL. What is your definition of hardly any grass? Nothing like a lush green pasture! !